I've made this Panzer IV with a bit of customization. 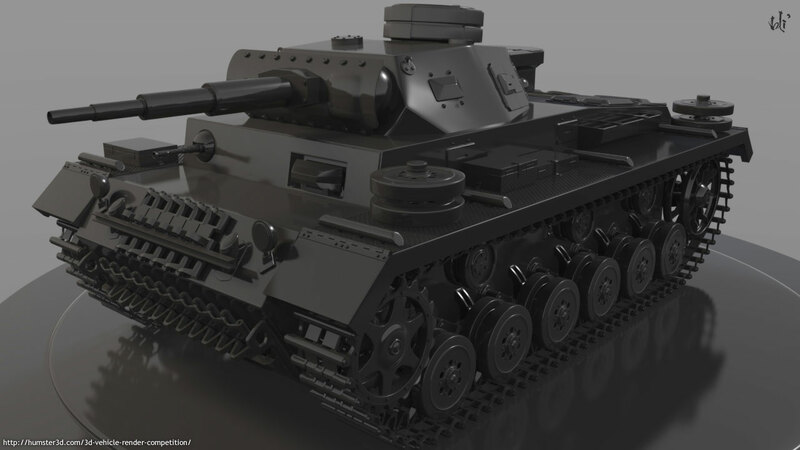 It's called Panzer IV Custom. I love this render without texture because it seems to be more dramatic and polish. I've developed this in about 3 weeks with 3dsmax without worry about polygons number (1.5 millions polys). I know that is not very detailed, but this is my third work on 3dsmax and I'm pretty happy of it!